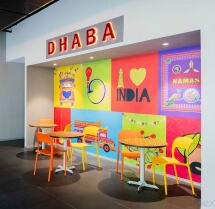 DHL Smartrucking’s Corporate Office at Andheri East spans over an area of 20,000 SFT and is located next to ITC Maratha in Mumbai. 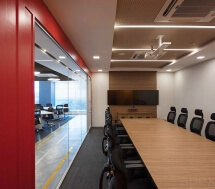 Post completion of the corporate office, Apex has been involved in Design & Build interior projects for DHL Smartrucking at other locations in India. 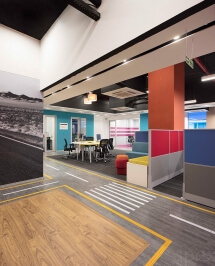 Read more about colours to be used in offices. 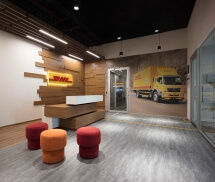 This entry was posted in Commercial Interior and tagged dhl, interior, interior design, modern office, office, office design ideas, road theme. Bookmark the permalink. 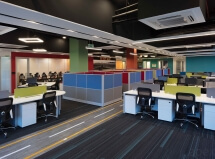 ← Un-dividing the Space- PARTITIONS!